Garden City, New York, USA. March 9, 2019. R-L, Nassau County Executive LAURA CURRAN and BOB STUHMER pose in front of Nunley's Carousel during Unveiling Ceremony of mural by painter Michael White. Stuhmer arranged all the organ music for the carousel, including the instrumental piece Billy Joel wrote “Waltz #1 (Nunley's Carousel)" in 2001. 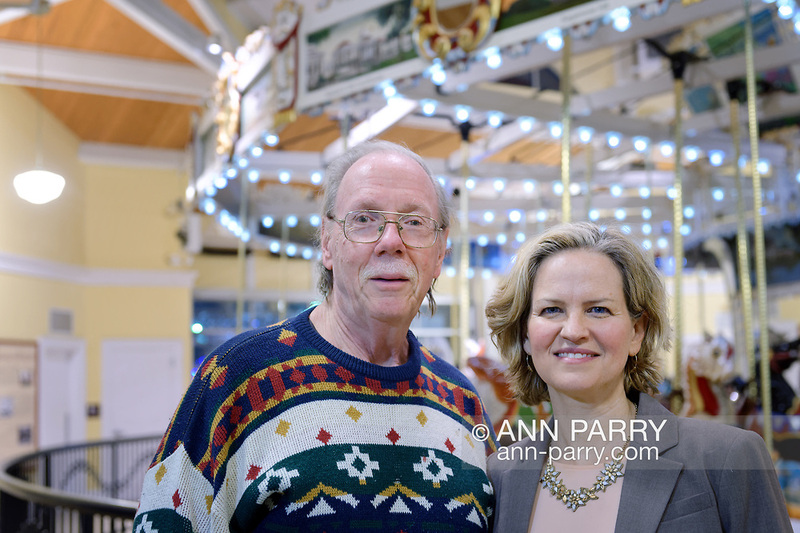 Event was held at historic Nunley's Carousel in its Pavilion on Museum Row on Long Island.